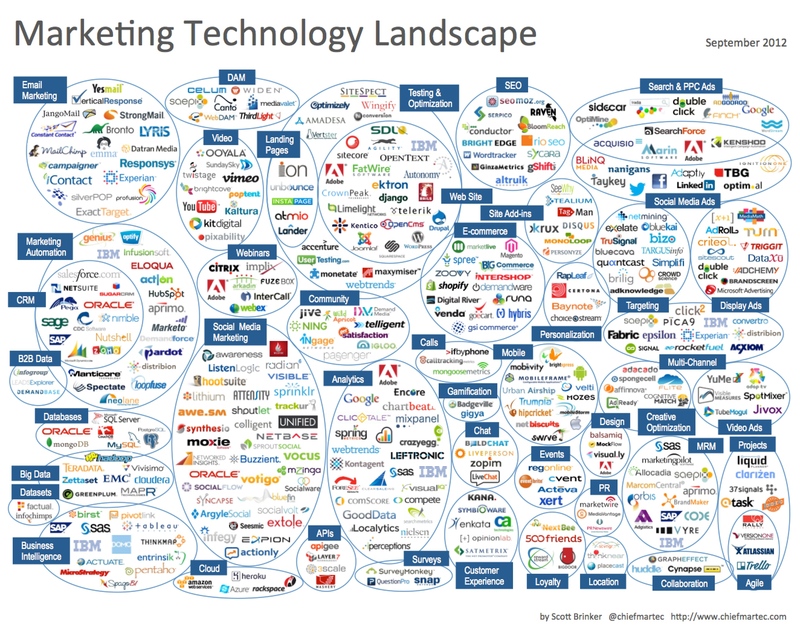 Marketing Technology Landscape Supergraphic (2012) | AdsWiki - Ad Network Listing, Reviews, Payment Proof & Advertising News. It includes over 350 different companies , from small start-ups to Fortune 500 giants, across 45 different categories , from agile management to video marketing. Admittedly, it’s incomplete — merely a representative sampling of all the varied technologies in marketers’ lives today. Under constraints of time and space, there are many companies and categories that weren’t included and that no doubt deserve to be.